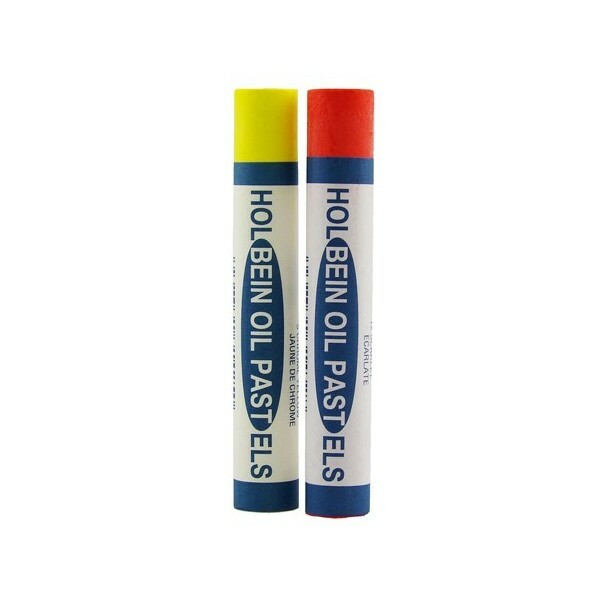 These oil pastels are made by Holbein; one of the world leaders in extra fine art materials. We were hesitant to call these student grade oil pastels, because they are of such high quality. They are made with fine natural and man made pigments and high quality mineral oil and wax. The colors are amazing; just what you would expect from Holbein. Colors go down onto paper with terrific density and opacity. These are fantastic oil pastels for laying down large blocks of color, for underpainting, or for oil pastel enthusiasts who do not want to spend a lot of money. After sampling other inexpensive lines of open stock oil pastels, we chose the Holbein Academy line because of the depth of color and the excellent quality that you get for the price! You can easily pick a large range of colors without making a huge investment.